Size 12 The dress is in two parts; Fitted satin under dress with sweet heart neckline, flared bottom creating a mermaid style shape. 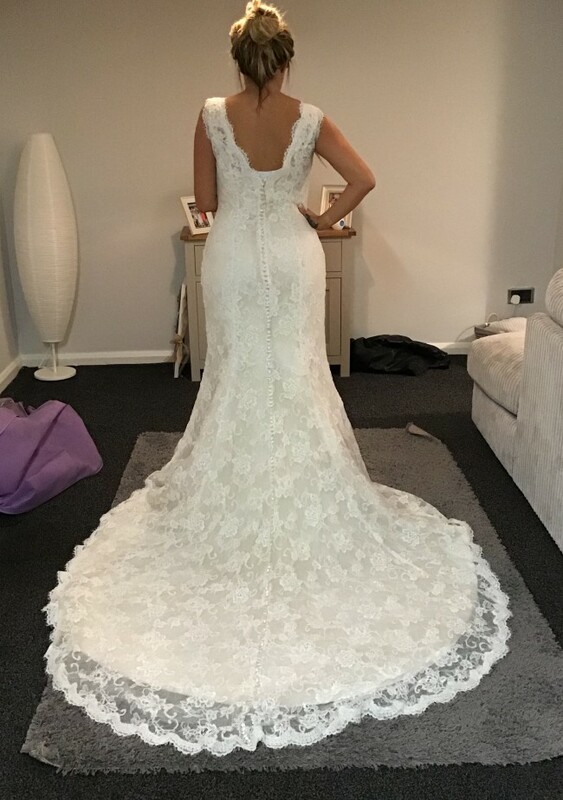 Gorgeous re-embroidered lace overlay with Vneckline front and back with long trail. Satin buttons run all the way down the back from the Vback to the end of the trail. The dress is very flattering in shape with good quality fabric. This dress really is stunning!! The pictures do not do it Justice.